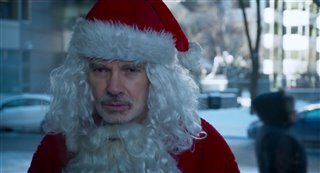 Booze-soaked, foul-mouthed con-man Willie Soke (Billy Bob Thornton) is back to his old tricks in the sequel to Bad Santa. 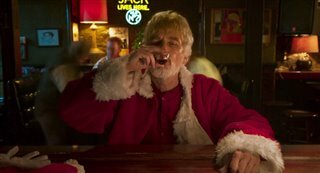 Teaming up once again with his sidekick, Marcus, Willie plans to pose as Santa, this time to swindle money from a charitable organization on Christmas Eve. But this time, they're joined by Willie's equally wicked mother, Sunny Soke (Kathy Bates). Meanwhile, Willie is infatuated with the curvaceous and prim Diane (Christina Hendricks), who unlike Willie, has a heart of gold. She also happens to be the charity director of the charity he plans on scamming, which throws a wrench into his plans.